Kerala State Road Transport Corporation operates buses between Pamba to Chennai as part of special service during Sabarimala season. mytnstc.com team spotted this bus during our recent photoshoots at CMBT. Sabari air bus travels via Trichy, Theni, Kambam and Kumily before it reaches its destination at Pamba. 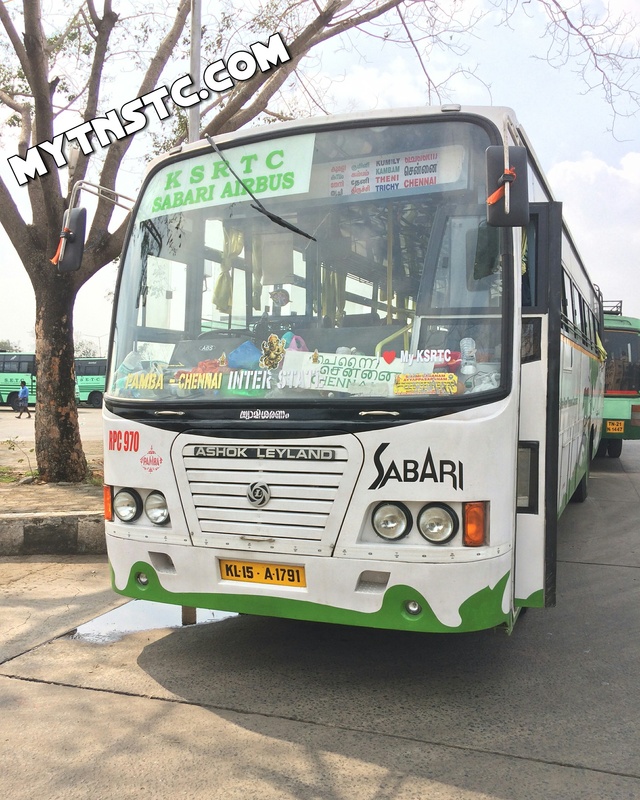 Sabari air bus is a semi sleeper coach made in Ashok Leyland livery. The bus has air suspension facility for a comfort ride. The bus is a solo bus operating between Chennai and Pamba, it has a partner bus running via either side. 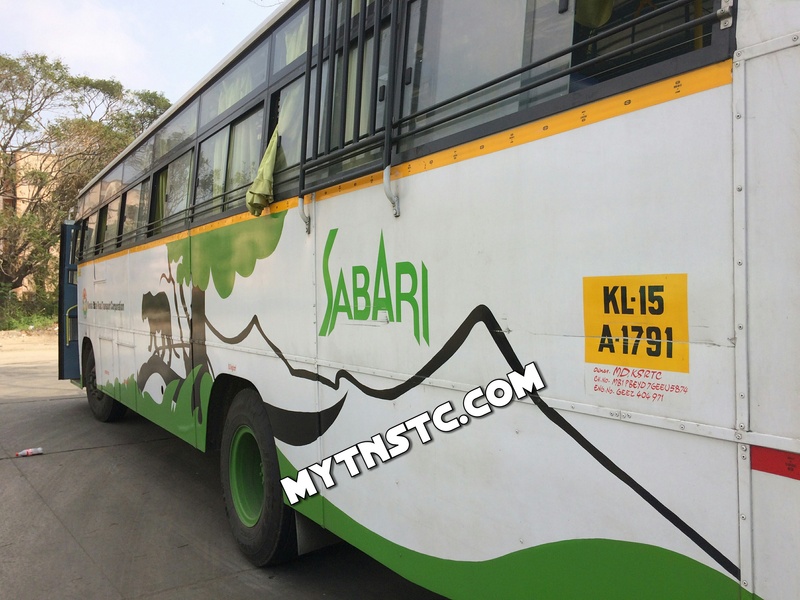 Sabari bus is a parent tag with KSRTC, This bus connects to different parts from Pamba and premium service in semi sleeper non ac services.